Your screenshot makes no sense, that's not the right place to override a module. 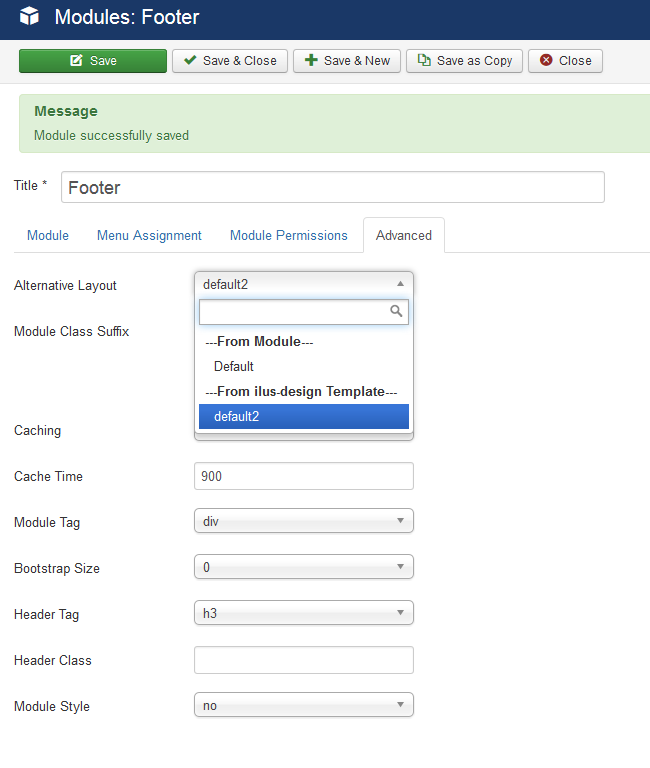 Publish the module to the same position as your footer module, and unpublish the current one. If you prefer to use the mod_footer module, you can override the output by copying the file ROOT\modules\mod_footer\tmpl\default.php to ROOT\templates\YOURTEMPLATE\html\mod_footer\default.php. Edit the file to suit your needs. Not the answer you're looking for? 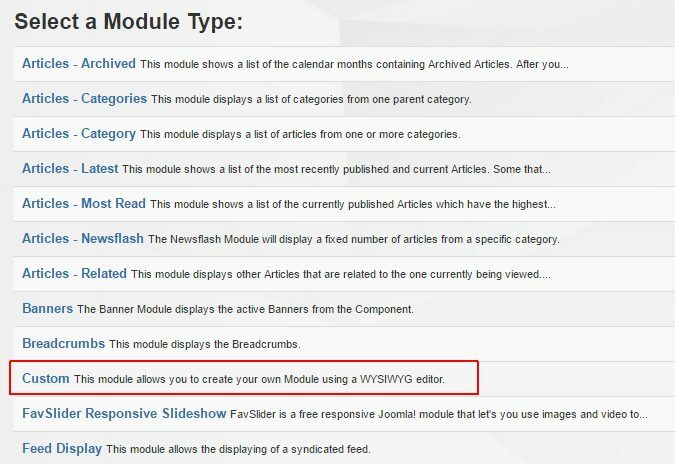 Browse other questions tagged module template-override joomla-3.5 or ask your own question.